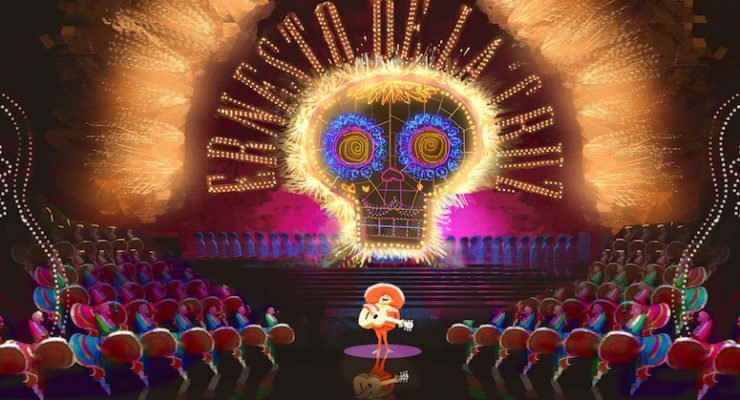 Throughout the years, Pixar has tackled several different genres, their films often being clever takes that both parody and celebrate classic films. With WALL-E, director Andrew Stanton and the studio went sci-fi, and also maintained a clear focus on the titular character’s story. 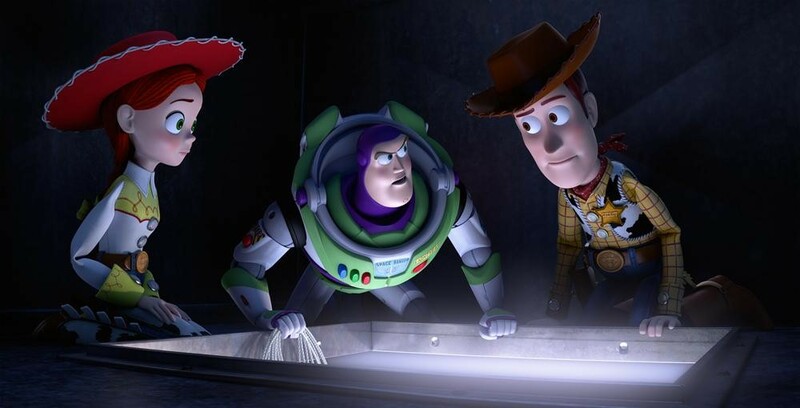 In their upcoming Christmas special, the studio is returning to honor sci-fi again with a new entry in the Toy Story franchise. 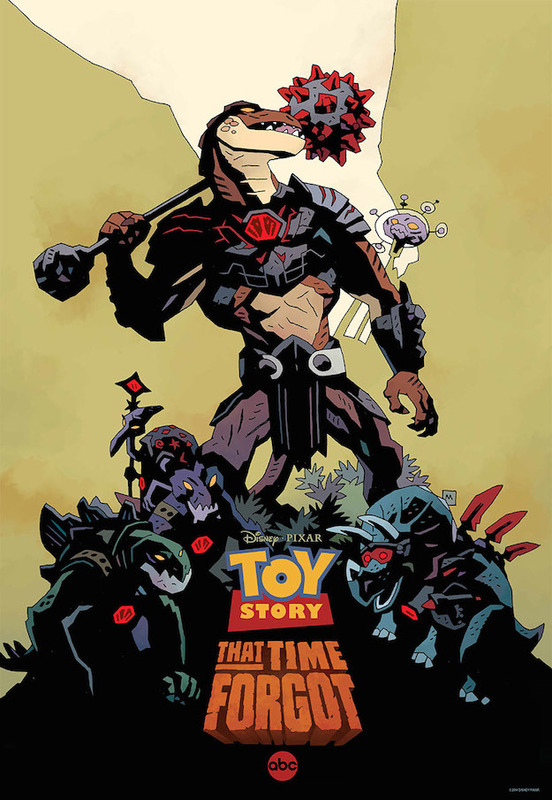 It is called Toy Story That Time Forgot and it premieres on TV this holiday season! This week, tens of thousands of fans from all over the world will descend upon San Diego for its annual Comic Con. The massive event, in the past decade, has evolved into more of a pop culture show, with popular movies and TV shows sharing exclusive first looks and details with those in attendance. With no D23 Expo being held this year, Pixar is heading out to Comic Con, where it will be holding a panel for its upcoming holiday TV special, Toy Story That Time Forgot. Take a look at the epic poster for the special, which will be given away to panel attendees! When I attended “Pixar In Concert” at Lincoln Center in NY a few weeks back, I was struck by how many memorable scores there are in the Pixar film catalog. The score that played just before intermission, arguably the most stunning piece of music in any Pixar film, was that from Pete Docter’s Up, the film that only needs mentioning to induce tears. The score went on to win an Oscar for composer Michael Giacchino, and has developed a life of its own. 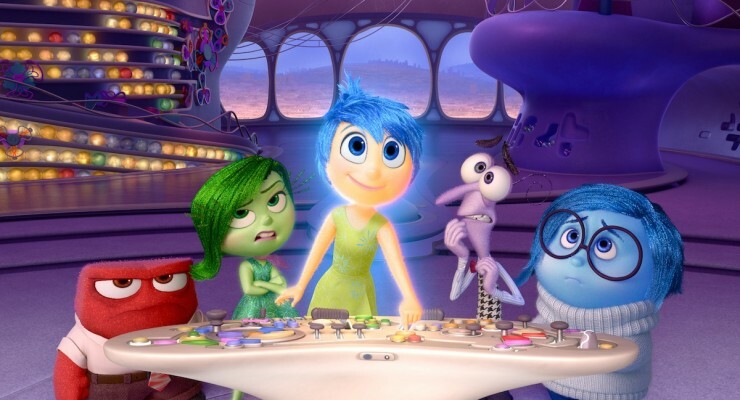 Docter and Giacchino are now reuniting once more, for Inside Out, which is due out next year! There are many reasons why Ratatouille is a great film – its story, memorable characters, and, of course, its music. 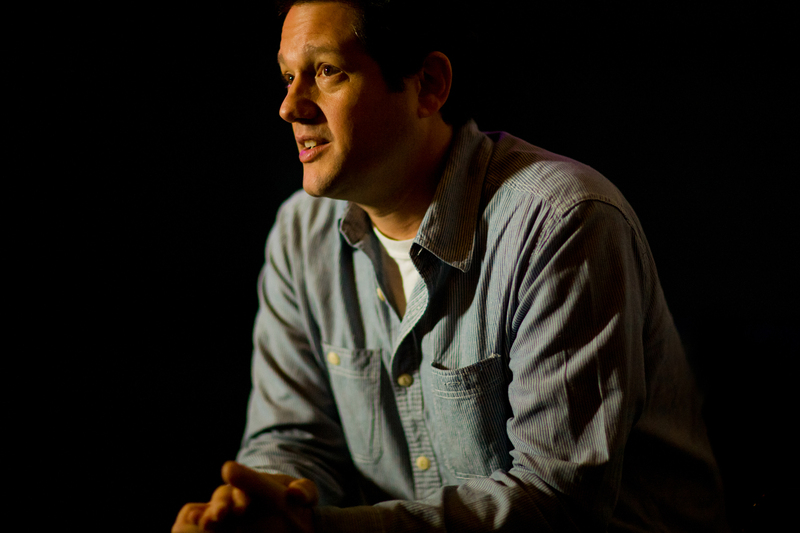 Michael Giacchino, composer for the film, had previously worked with director Brad Bird on The Incredibles, and has gone on to collaborate on other Pixar projects. Giacchino has also worked on the music for Disney attractions Space Mountain and Star Tours: The Adventures Continue. 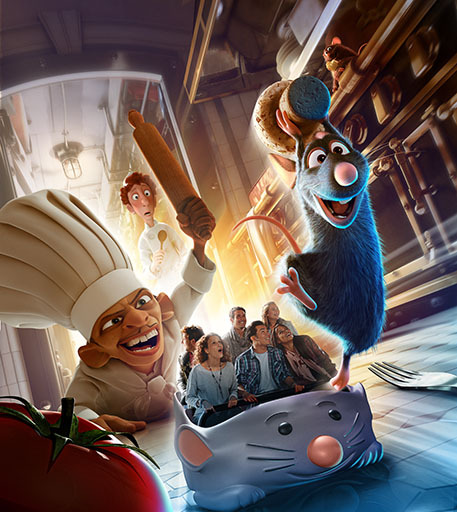 The worlds of Disney and Pixar are crashing together with Ratatouille: The Ride coming to Disneyland Paris this year, and Giacchino is returning to compose the music for that as well! 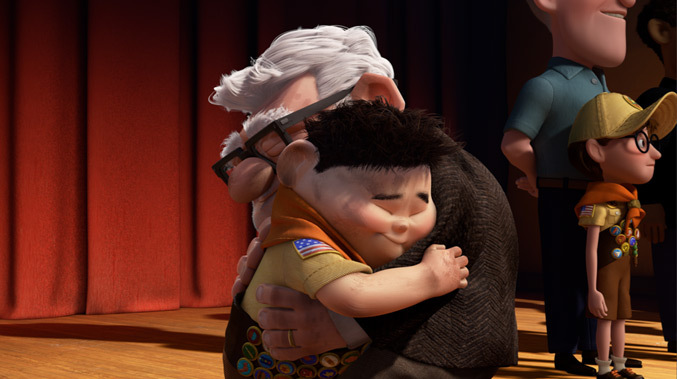 Though it isn’t the first of Pixar’s films to inspire audiences to reach for as many tissues as possible, Up may be the most universally successful at getting grown men and women to do some good old-fashioned ugly crying. Up, released in May of 2009, was the first of Pixar’s films to be presented in both 2D and digital 3D; that latter format allowed many to use their 3D glasses as a shield, to make sure no one around them saw the tears streaming down their cheeks. However, just as it’s a predictable response that the majority of people who saw Up were viscerally impacted by the first 10 minutes, the reaction to the film as a whole has also become slightly stereotypical, summed up as follows: the so-called “Married Life” montage, in which we watch the lead character, Carl Fredricksen, and his wife, Ellie, as they live their lives over multiple decades, culminating in her death at an old age, is excellent. It’s amazing! It’s emotional! And the rest of the film can’t even begin to compete with its devastating, heartbreaking finality. 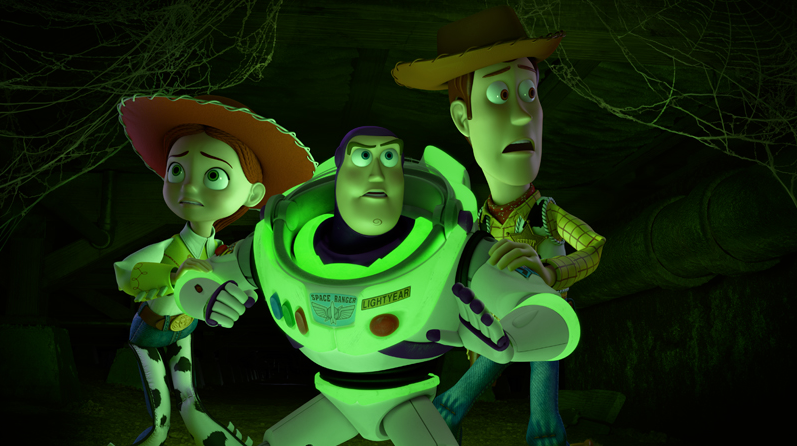 Pixar has conquered the big screen and is now ready to tackle television with its first TV special, Toy Story OF TERROR!. With the entire cast from the film franchise returning, along with the large production team at Pixar working for over two years to produce the special, there is no doubt that this is the next major release from the animation studio. Although its 21-minute running time is considerably shorter than the 90+ minutes we are used to seeing from Pixar’s feature releases, it still allows the studio to pack in enough thrills and heart. Learn more about the special and go behind the scenes in a new video that has just been released. Watch it after the break! It’s high time that Pixar Animation Studios made a musical. In some ways, it’s been high time for them to make a musical ever since they started making features. From the beginning, the people at the top of Pixar’s food chain tacitly, vocally avoided making animated musicals in the same way as many of Walt Disney Animation Studio’s most beloved classics, either from the 1930s and 1940s or from the Disney Renaissance period. Pixar has defined itself, and the genre of computer animation as a whole, by refusing to have its characters break into song and dance on the regular. But why hold back on embracing one of the ironclad tenets of mainstream feature animation? All this refusal represents is a strange, stubborn unwillingness to be risky. Pixar has worked with a select few composers on its feature films, all of who are incredibly talented. Randy Newman’s Toy Story score is instantly recognizable, Thomas Newman’s WALL-E score soars, and Michael Giacchino‘s work on Up is simply breathtaking. Giacchino, who has also gone on to become a huge talent in the world of live-action films, has also contributed music to Pixar shorts, including La Luna (2011) and Day & Night (2010). We have now learned that he was tapped by the animation studio to pen the score for its first TV special, Toy Story of Terror!